Keep your phone. Keep your number. Our SIM-only deals let you take your business everywhere with a minimum of fuss. Plus, you only pay for data – calls and texts are always free and unlimited. If you’re an XLN Phone, Broadband or Fibre customer, all of our SIM-only deals are half price. With over 98% coverage, the network we operate on is one of the most comprehensive in the UK. Keep your existing number. Keep your existing phone. You can change your deal at any time. No problem. Never miss a call - and never pay for one either. Not all mobile networks are the same. Not all mobile networks are created by you. We built XLN Mobile after talking to over 1000 small business owners just like you. We listened to recommendations, and rolled them together to create something truly unique. A network designed by small businesses, for small businesses. We save you time too. We answer calls in 3 rings and resolve over 90% of issues on the first call. Dedicated to keeping your business up and running. If you have not received your internet settings, or are having problems making calls after 2 hours, then please contact a member of our trained support team on 0344 880 7777. Please note, for security purposes, your SIM can only be activated within the UK. Your phone number will be allocated at point of sale. You can find this number on your Mobile SIM pack, invoice or online at your MyAccount page. Alternatively you can find your number in the about section of your handset. All of XLN’s mobile tariffs include unlimited minutes to UK landlines (01, 02, 03) and UK mobiles, excluding Lyca and Lebara. Out of bundle data is charged at 8p per MB. For full details please see our mobile price list here. XLN’s bill cap gives you total control over your monthly spend and ensures you’re never shocked by a bill. It guarantees that you will never pay anything more than your monthly tariff. You may apply individual caps to each limit within £10 increments from £0.00 to £250.00. We will notify you once 80% and 100% of each cap is reached and will automatically suspend services once you hit your limit. Bill limits automatically reset every bill cycle. Alternatively you can contact our team on 0344 880 7777 to upgrade your data tariff or amend your limits. Yes, you can upgrade or downgrade your plan whenever you want by calling 0344 880 7777. We simply require 30 days’ notice to change your plan. Do I get charged for using my SIM abroad? All XLN Mobile tariffs allow you to use your UK tariff in any EU country at no extra cost. Once you go outside your allowance, you will be charged your standard UK rate and you will continue to receive alerts for inclusive and out of bundle use. XLN charge £4.50 per MB of data used in all destinations outside of the UK/EU. For full details on our international call rates please see our mobile price list here. For security purposes XLN has disabled international roaming. Give us a call on 0344 880 7777 to have this lifted. Contact XLN on 0344 880 7777 for details on your remaining monthly data. Alternatively this can be checked via your handset network settings. Why are there restrictions on certain websites? By default XLN has applied an adult content filter to all SIMs. Give us a call on 0344 880 7777 to have this lifted. XLN only provides 3G and 4G connectivity to deliver the best speeds and network reliability. For this reason 2G only handsets are not compatible with the XLN network. Your handset must also be unlocked (SIM free). If you previously purchased your handset via a network please check with them to ensure the device is unlocked. Call XLN immediately on 0344 880 7777. We will suspend your SIM card to prevent any unauthorised use and send a replacement SIM. Fibre connection, check out the BizHub for advice, hints and tips covering all your small business needs. 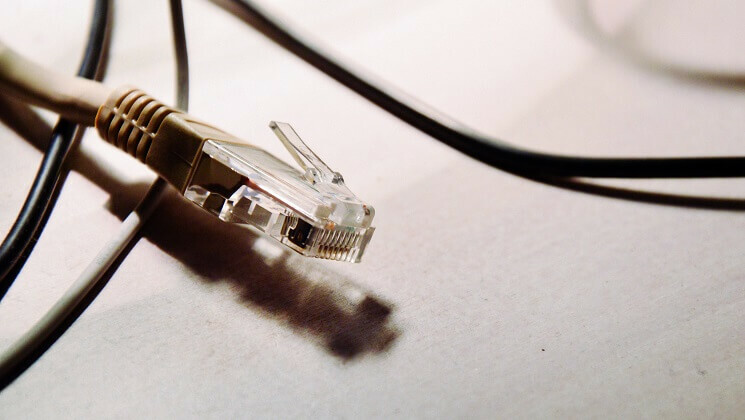 Does your business need fibre broadband or classic broadband?